All changes, made by PharmSchul users, will be documented by the additional module Audit-Trail. The PharmSchul Audit-Trail meets the requirements of 21 CFR Part 11. The reason for adaptation needs to be entered by changing or deleting a record. By the PharmSchul User Management an easy traceability of changes made by PharmSchul users is ensured. 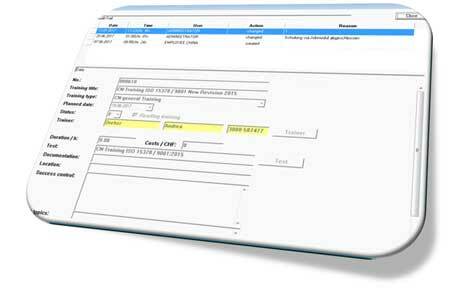 The display of Audit-Trail entries is also managed by the user administration. Of course the PharmSchul Audit-Trail is validated.